Preorder "The Great Something" now and be the first to get the limited edition collector CD and get a surprise gift when your order ships! and Guitar Monk Mathew Dixon on "Hey You." Pre-Order the limited edition collector's CD now. $21.95 plus shipping and handling. Remember you get surprise gift when your order ships! I’m going to share a hot off the press story with you here. Then we can look at how to apply the principles in it to your life. 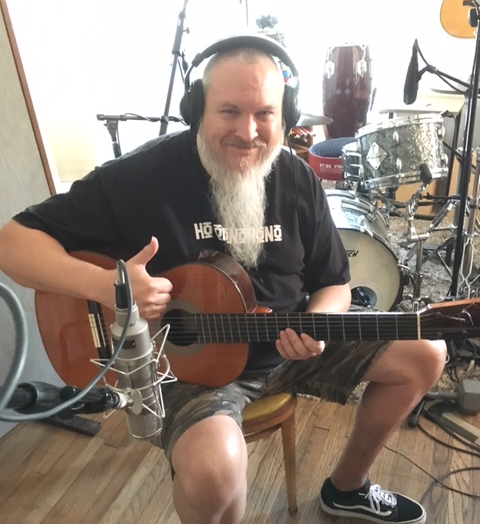 I just finished recording my sixth singer-songwriter album. It’s called The Great Something. While the previous five albums all reveal a musician growing in confidence and ability, each one better than the last, this latest one broke all boundaries. The songs are better than ever. The singing is hands down the best ever. Why is this album so much better than all the others? 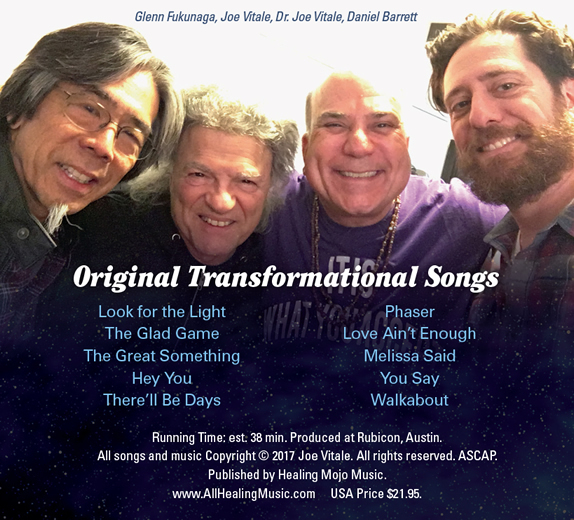 I used everything I teach about self-help, goal-setting, and manifestation to create this album; from setting a clear intention to gathering my band of legends, to taking action on the ideas and opportunities that arose as I moved toward the recording date. 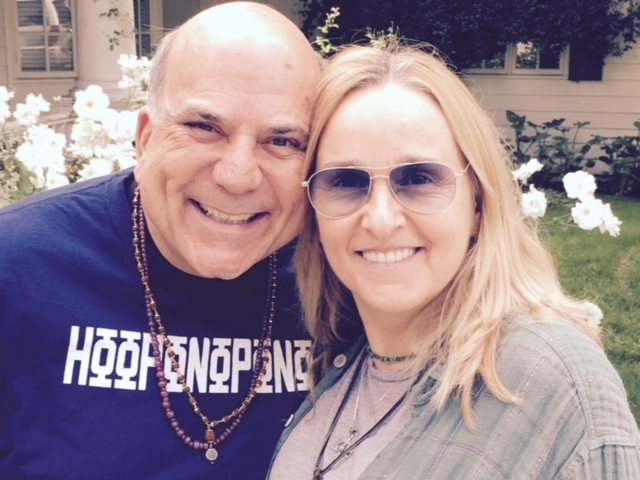 While all these elements are part of what make The Law of Attraction work in your favor, clearly the biggest turning point for me was attracting my private two-hour songwriting lesson with rock icon Melissa Etheridge. I’ve already written four blog posts about my time with her. (See PS below for links to those “Attracting Melissa Etheridge” articles.) I won’t repeat myself (much) here, but I openly declare that my time with Melissa deeply influenced this entire album. In fact, I’ve dedicated it to her. First, I used some of her music dynamics to create new songs. Second, the title track song was directly influenced by my time with Melissa. While Melissa was too wise to tell me what to do, her feedback helped me learn lessons for myself. It was the Socratic method. Socrates didn’t give you the answer. He helped you think of it on your own. Being with Melissa helped me realize the title track song (and the album) needed to be called The Great Something, my phrase for God or the Divine. (It was originally going to be called The Miracle.) That insight redirected the entire album. Third, and more importantly, Melissa urged me to write from the first person. 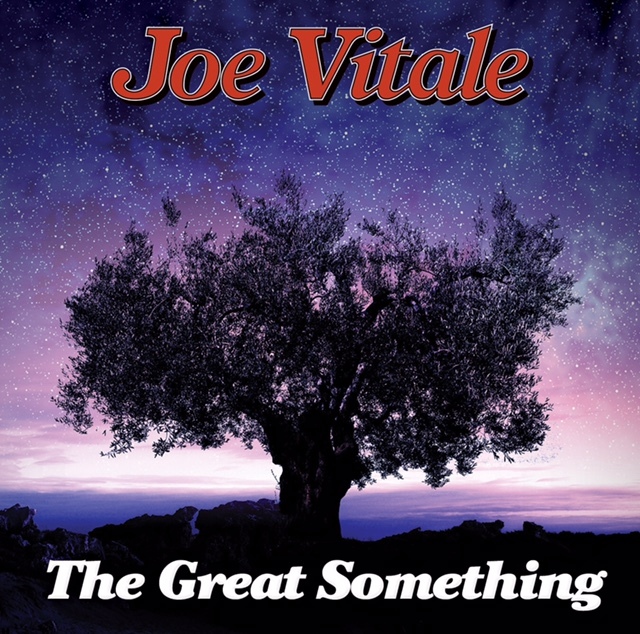 “The Great Something,” the title track song, is raw. It’s from my view of life, my hard times, and my discovery of The Great Something. The band was blown away with the power and depth of it. It is riveting. It is revealing. That is a direct result of taking to heart what Melissa told me about writing in the first person. Fourth, when I was with Melissa, I shared the opening lines of a song that had come to me in my sleep. Melissa liked what she heard. Because of that, I felt encouraged to complete the song. I did. It is the most hauntingly beautiful thing I’ve ever penned. It’s called “Hey You,” and it’s designed to heal any hurting heart. Guitar Monk Mathew Dixon added his sweet guitar on it and it is deliciously healing. Fifth, Melissa taught me to feel my message when I sang. As a result, my singing on a singer-songwriter ballad I wrote was, as my producer called it, “Sinatra-est.” It was probably the highest compliment he could give me. My voice compared even remotely to Frank Sinatra’s was enough to make me speechless. I just followed what Melissa taught me and felt the song as I sang it. Obviously, I absorbed Melissa’s wisdom and vibe and infused it into this new album. This post isn’t about getting you to buy my new album. It isn’t completed yet, let alone ready for sale. Instead, I’m sharing all of this with you to demonstrate how the Law of Attraction, magic, and miracles work. I set an intention to create a new album that surpassed all my others. I visualized and felt the end-result, already done and a mega success. I cleared any limiting beliefs along the way, freeing me to be my best. 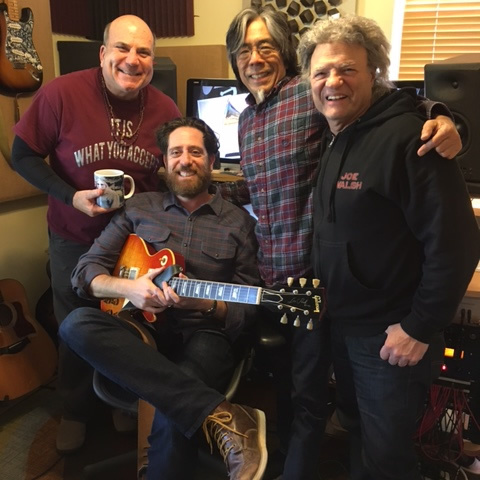 I took action by writing songs, gathering my band, booking the studio. I seized opportunities, such as grabbing my music lesson with Melissa. I let go and went with the flow, while keeping my intention in mind. I’m sure you can do this, too. You could set an intention for it, gather allies, and start to move toward it, right? Are there any real excuses or limitations for doing what you really want to do, if you really want to do it? Isn’t today a good day to begin? The Great Something says YES!